Since my trip to the Tokyo Disney Resort, I've posted a bunch of times showing some of the highlights and items that I brought back home including this pin marking the 35th Anniversary Celebration of the resort and the latest versions of the two park maps and the resort-specific bandaids - which I love. 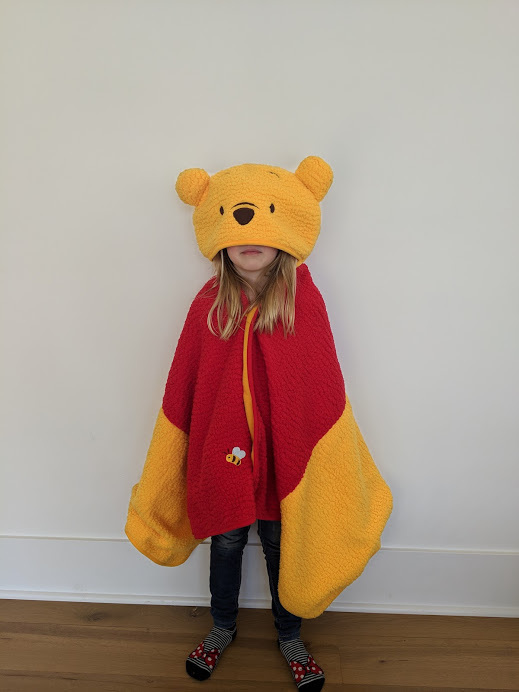 But none of the things that I brought home top this: the fleece Winnie the Pooh Bear blanket or cape or shawl with a hood. 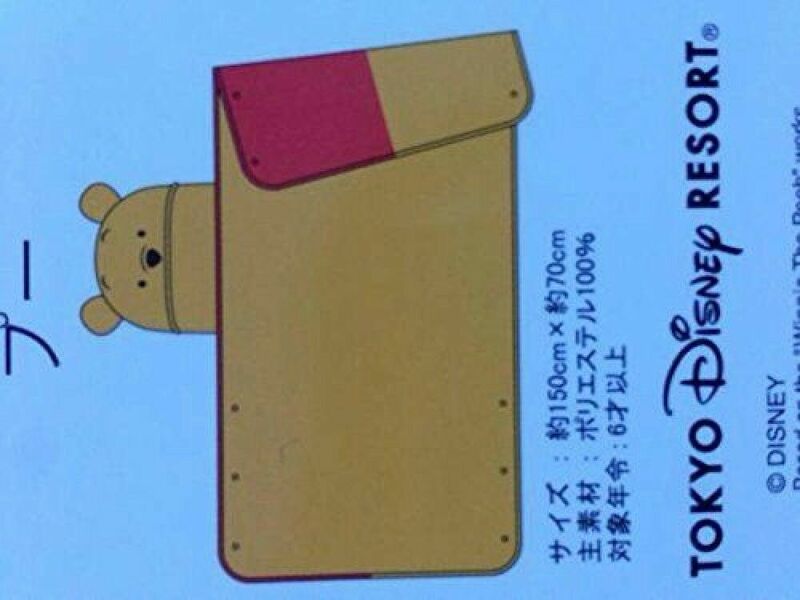 My middle child has a snuggle pal of Pooh Bear that she adores and after seeing this, I couldn't come home without it. I mean...come on, right? Just 'adorbies', as she says. Nat took this photo and I couldn't help but share it here on the blog. Those dots are snaps that bring it together in the front. I think they technically list it as a 'wearable blanket', but I'd rather call it a cape. They had a bunch of characters like Mickey/Minnie and Chip/Dale and even Donald and Daisy. This one was such a hit that maybe next time I go back, I should score a few more for the kids. Oh...and Nat, too. She was drawn to this one, too!